When Cecil the lion was killed illegally this summer, it brought the international spotlight on the issues of sport hunting and poaching in Africa. Questions were raised about the legality and morality of Cecil’s killing, as well as what can be done to prevent such a tragedy from happening again. Scholars and conservationists like David J. Hayes J.D. ’78, a distinguished visiting lecturer in law at Stanford Law School, have urged the U.S. government to take action. Cecil had been a popular attraction at Zimbabwe’s Hwange National Park and part of a study done by the University of Oxford. Tourists and academics enjoyed photographing and observing him, and Cecil, who wore a GPS tracking collar, was accustomed to allowing people to approach him. But in early July, Cecil was lured out of his sanctuary by the scent of an elephant carcass. He was shot and wounded and then tracked for 40 hours before being killed by U.S. dentist and recreational hunter Walter Palmer. As the details of his death unfolded, outrage mounted in social media and the press. There had been no legal permit for Cecil to be hunted, and the lion had been coaxed out of a protected area. 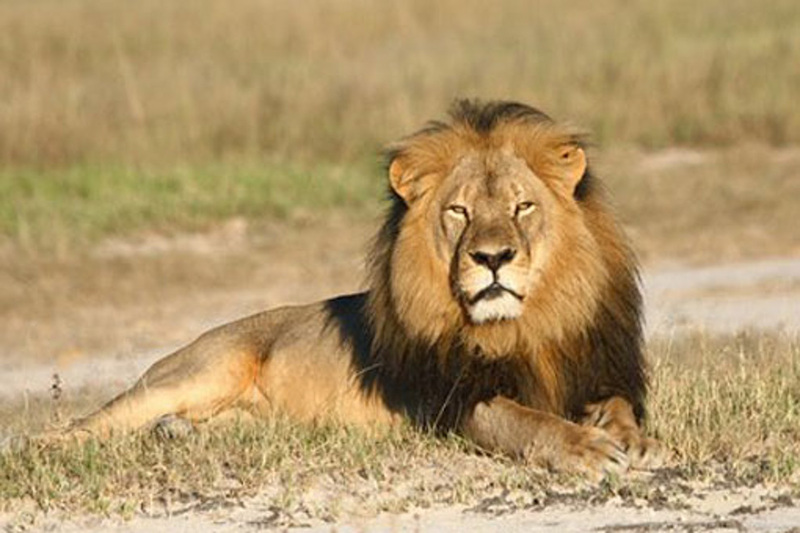 Hayes has joined the collection of voices pointing out that the killing of Cecil is part of a larger problem. Hayes believes hunting must be compatible with the health of the species and that there are steps the American government can take to discourage trophy hunting. For example, African wildlife can be “uplisted” as endangered by the U.S. Fish & Wildlife Service under the Endangered Species Act. According to Hayes, this would restrict hunting and protect certain species because species that are categorized as endangered under the Endangered Species Act receive the full protections of U.S. law. Imports and international trade are monitored more closely – meaning no animal trophies can be imported into the United States and any sport hunting would be more easily prosecuted. Back in October 2014, the U.S. Fish & Wildlife Service proposed to list lions as endangered. According to Hayes, proper wildlife hunting can support conservation and African economies, but stricter regulation is needed. That regulation could come in the form of a more rigorous review of hunting practices, especially for animal populations that are under stress from poaching, loss of habitat and other challenges. “The issue is number one: Is it appropriate to deplete animals in the population, is the population strong enough and healthy enough? And number two, if the money is being put towards conservation, is it really being spent well and productively to protect the species as a whole?” Hayes said. Increased regulation could include clearer links between hunting funds and on-the-ground conservation activities. There could be more transparency surrounding how much money goes directly to conservation programs, as well as how much local populations benefit. The U.S. Fish and Wildlife Service’s proposal to list lions as endangered is still pending. Contact Caroline Harris at 15charris ‘at’ castilleja.org.